What would it be like to have your name mentioned with the likes of Google or Nike? How about Amazon or Apple? Dodge knows. Recently being named one of Fast Company’s 2014 “World’s 50 Most Innovative Companies,” Dodge was recognized for “being part of the conversation, no matter what,” in part, due to the irreverent and risky Ron Burgundy campaign that became so popular last fall. Continuing to be a mover and a shaker could be challenging for a company that has hit the century mark. Sometimes it’s easy to get stuck in the rut of “what’s old becomes new again.” But “old” doesn’t have to be synonymous with outdated. Luckily, the folks at Dodge understand that tradition and change can come together and work successfully as one. Dodge has taken everything that was great about the past and given it a unique, modern, up-to-date edginess that make you want to be behind the wheel of at least one of them. Clearly Dodge has figured out the formula for long-term success. But how do you pair that kind of history with a brand new start-up? It’s like the senior quarterback that’s being scouted by all the best colleges suddenly being saddled with showing the incoming freshman how to run the playbook. But it doesn’t have to be a bad thing. This partnership can not only work, but also be very successful. Take Chrysler Capital, for example. In our first year working with Dodge dealers as their primary auto finance and lease provider, we have worked side-by-side with finance managers across the U.S. to put thousands of customers in the Dodge vehicle of their choice. We might be the incoming freshman, but we’ve brought lease deals and auto financing options to the table that can compete in any market. Before you go to the dealership, you can apply for financing online at Chryslercapital.com from your computer, tablet or mobile device. It only requires a few pieces of information and the application is secure. Once you’ve submitted your application, you will have your results within seconds. Check out our online video that shows you what it looks like and walks you through the application process. With an approval in-hand, you can then shop for the Dodge vehicle of your choice knowing that your financing is secured. If it’s a lease that you are interested in, your dealer has all details about what kind of Chrysler Capital lease deals are available in your area. The lineup of Dodge vehicles are built to suit nearly any lifestyle. So are the auto financing options and lease deals we can offer at Chrysler Capital. 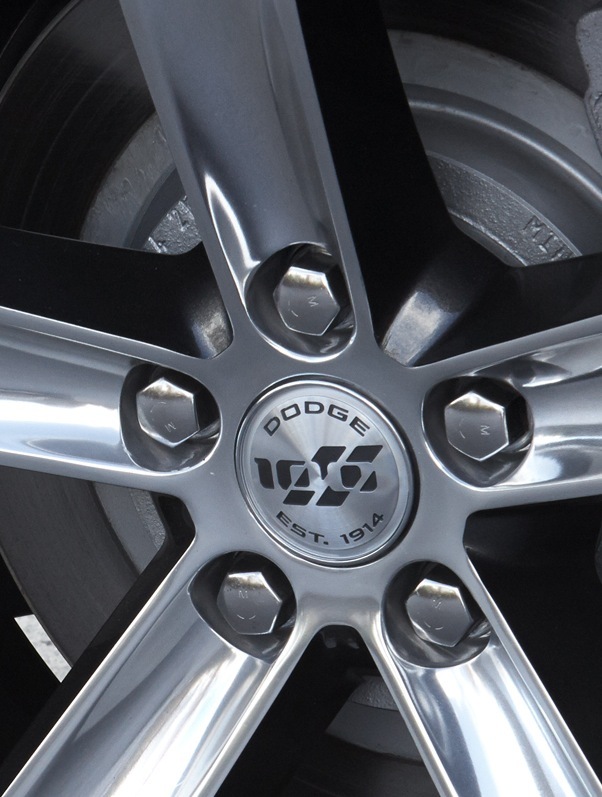 Put together, 100 years of Dodge and nearly one year of Chrysler Capital…well, it all works out pretty great. Especially when the end result is a new Dodge vehicle for you.